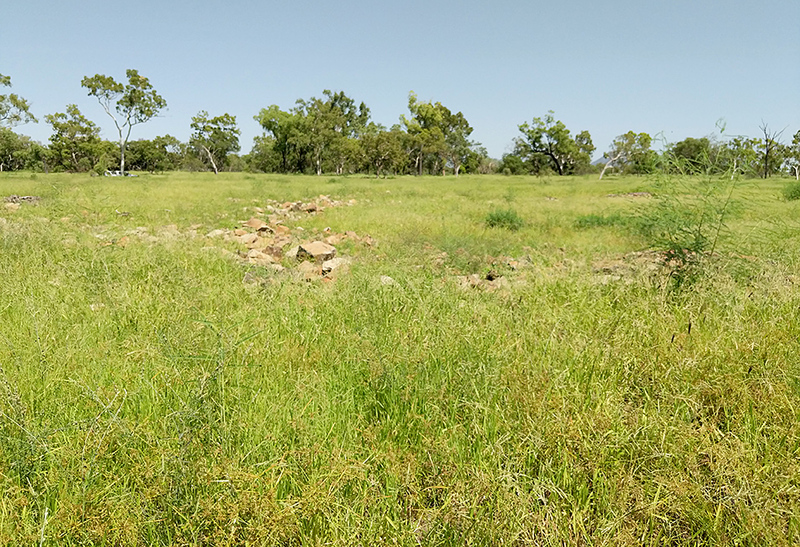 GAZING out onto lush green pasture at Riverview Station, Collinsville, it is hard to imagine that this was recently the site of a major black soil gully 500m long by 50m wide. 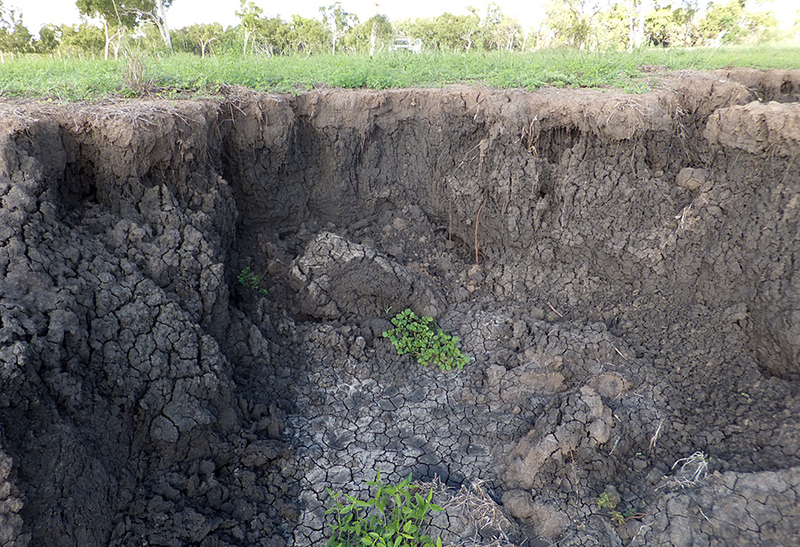 But thanks to a restoration project, heavy February rainfall promoted grass growth instead of causing further fine sediment erosion to the Great Barrier Reef. 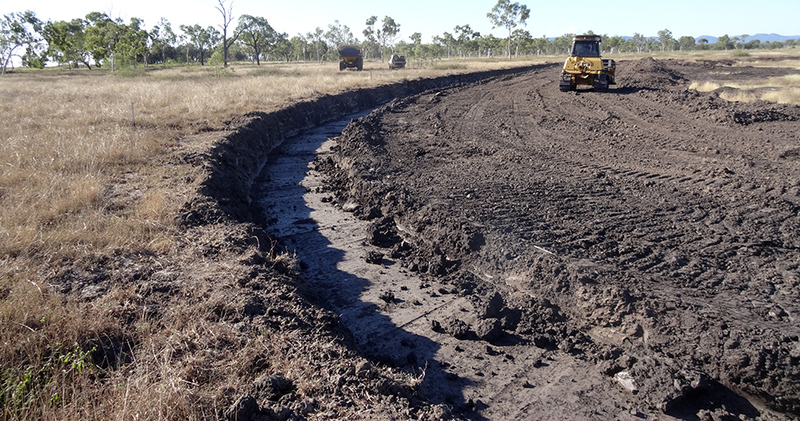 The work was delivered under NQ Dry Tropics’ Point Source Sediment Management project, funded by the Australian Government’s Reef Trust. 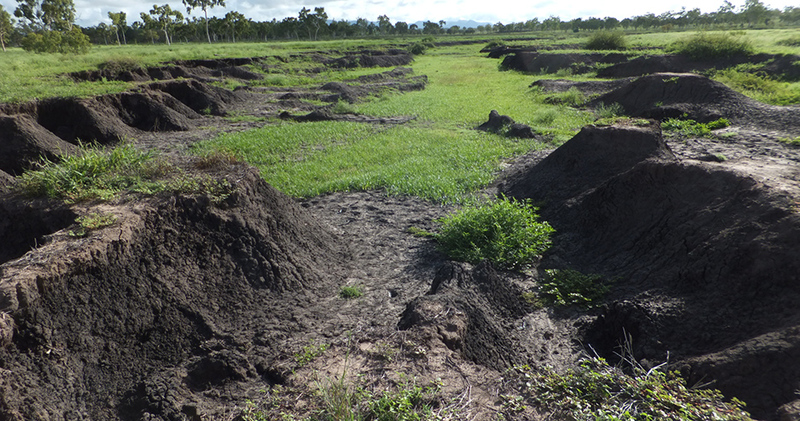 “It was eroding and getting deeper, and soil was flowing into the Bowen River when it rained,” Mr Rowe said. 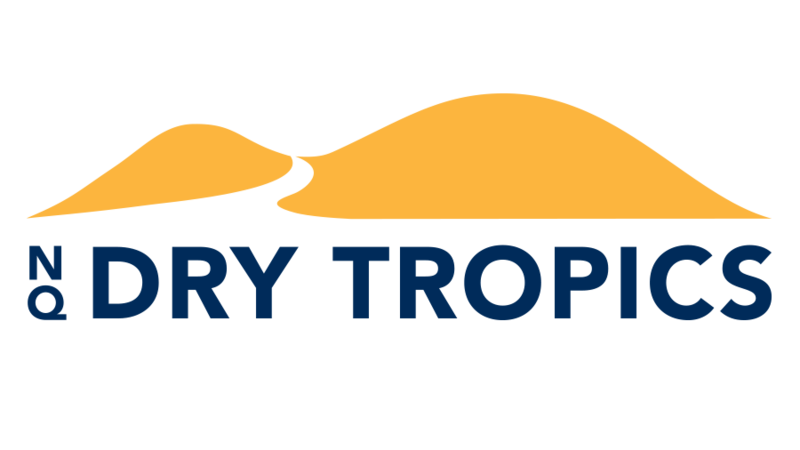 “NQ Dry Tropics showed me some examples of previous restorations, and I was happy with their plans for the gully. 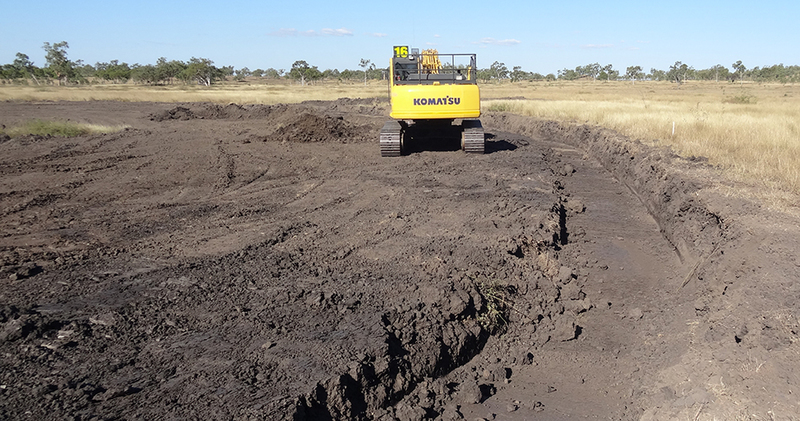 “After the work was completed we had 95mm in one storm and I went down there to see how it was holding up. I was expecting to at least see some gouging around the sides but there was no sign of any erosion at all. “We are really pleased with the result and it’s a good example of what can be done to improve the landscape,” he said. 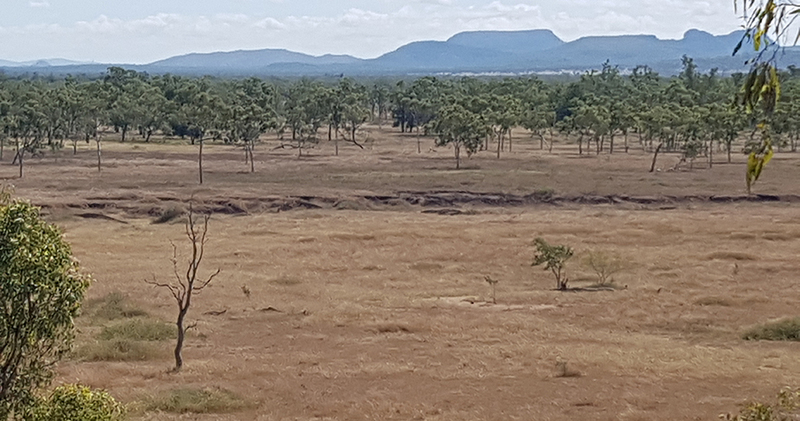 NQ Dry Tropics Grazing Project Officer Brendan Smith said the project team chose to tackle the gully using a cost-effective, specifically-tailored treatment. 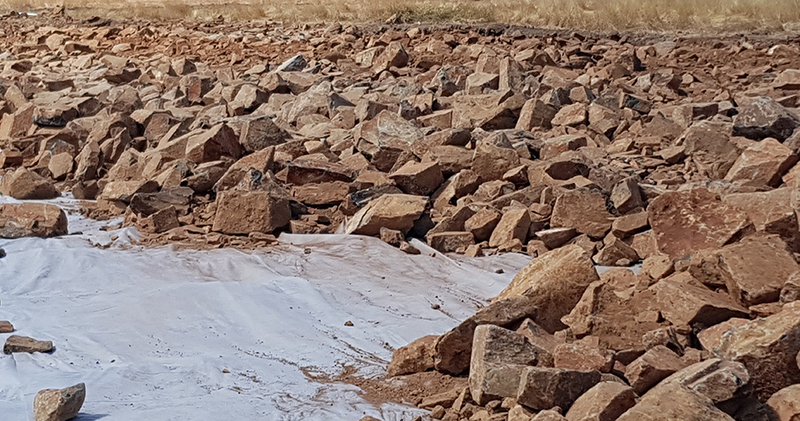 “We decided to protect the gully head using geofabric and a rock overlay to create a 150 metre rock chute over which water could flow without causing erosion, Mr Smith said. 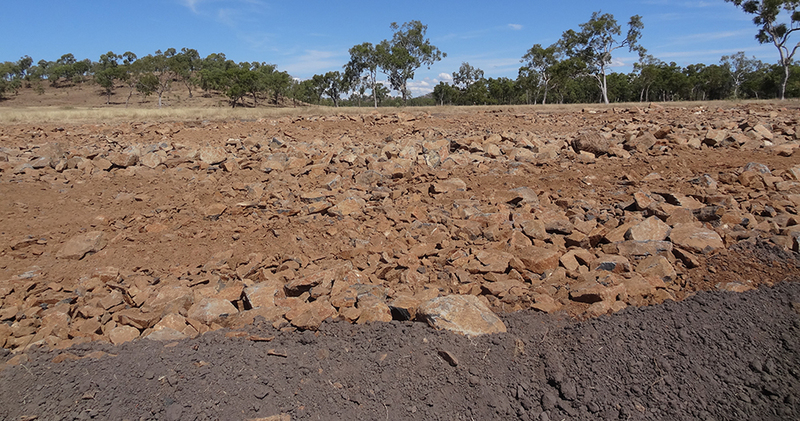 “We also installed rock checks into the gully floor to slow water flow and encourage sediment to drop. “The entire area was then reseeded with a mix of pasture species to help create a vegetative barrier,” he said.